As a result of rising ocean temperatures coral bleaching is becoming more common, and it's causing a biotic homogenization of local fish populations. When coral reefs turn deathly white as ocean temperatures spike, the kaleidoscope of marine life surrounding them dims as well, becoming more functionally monochromatic and less ecologically diverse, according to researchers who studied a section of the Great Barrier Reef before, during, and after a catastrophic coral bleaching event in 2016. This "biotic homogenization" of fish populations could make coral reefs even less resilient as the frequency of climate change-induced coral bleaching accelerates, said Laura Richardson, lead author of the study published recently in the journal Global Change Biology. 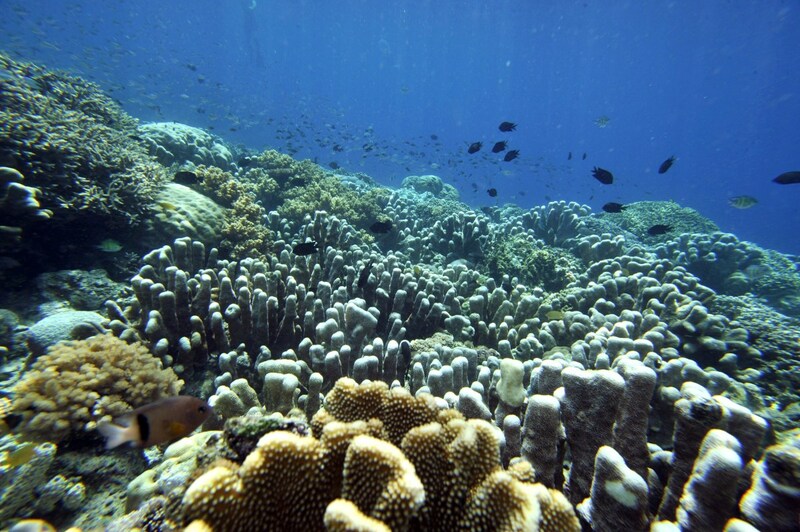 "In the case of our study, what we found was that, prior to bleaching, the fish communities among these different coral habitats varied quite substantially," said Richardson, who conducted the research as a Ph.D. student at the ARC Centre of Excellence for Coral Reef Studies at James Cook University in Townsville, Australia. "But by six months after the bleaching, the variation among these communities was almost entirely lost. If the abundance of particular species declines, you have less of these fishes carrying out important ecosystem functions." For instance, Richardson—now a postdoc at the University of Exeter in the United Kingdom—and her colleagues documented declines in populations of damselfish and other small herbivorous fish following a bleaching event in February of 2016. Water temperatures rose to 32.8 degrees Celsius (91 degrees Fahrenheit) that month and the marine heat wave persisted for more than eight weeks. Damselfish and similar species are coral cleaners, removing algae and seaweed so that corals can thrive and then revive after a bleaching event. "If a reef has fewer fishes carrying out particular functional roles or particular tasks in the ecosystem, then when there is ongoing disturbances such as bleaching events or storms, the ecosystem as a whole will be less resilient as they have less insurance to play with," Richardson noted. The study is the first to document biotic homogenization on coral reefs. Previous studies have shown that the apparent richness of wildlife in any given ecological community can mask a loss of diversity among ecosystems as species are shuffled due to various pressures, including climate change; this is sometimes called a hidden biodiversity crisis. In research published in 2015, scientists analyzed 29 years of surveys for North Atlantic groundfish that had begun in 1985. The researchers discovered that, off Scotland, "the species identity of colder northern localities increasingly resembles that of warmer southern localities." The changing composition of fish communities tracked rising ocean temperatures, they noted. "As long as species are not globally extinct this homogenization is potentially reversible," the researchers wrote. "However, this crisis is largely unrecognized, and adds to the challenges already facing marine biodiversity." So to the casual snorkeler, even a bleached coral reef might look alive with an abundance of fish. But the numbers hide a uniformity. It&apos;s like walking into a crowded cafe in San Francisco once patronized by artists, activists, and surfers. It&apos;s still packed but now everyone works for Twitter and is staring at a MacBook Air. 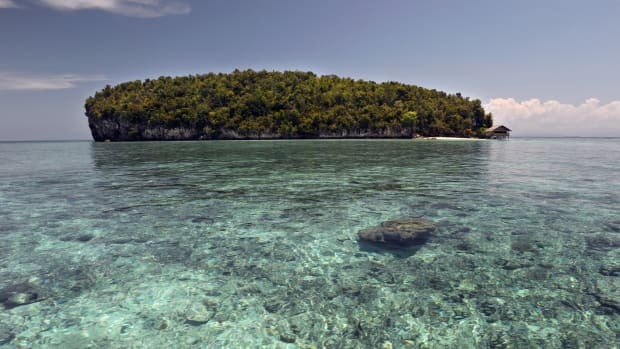 Richardson and her colleagues&apos; research has also has broken new ground on how the bleaching of specific species of coral affects the composition of fish populations. She did not set out to study coral bleaching impacts when she began surveying fish populations or "assemblages" in September of 2015 at 16 reef sites surrounding Lizard Island off Australia&apos;s far northeast coast. "I went out to the island to look at how the different communities of coral influence the structure of different habitats," Richardson said. She and a colleague would jump in the water and establish survey transacts by attaching yellow tape at one end of a reef. "As the tape rolls out, the person who counts the fish goes first and counts all the fish within a five-meter belt along that transact," Richardson said. "And the second person follows and counts the corals along the tape." 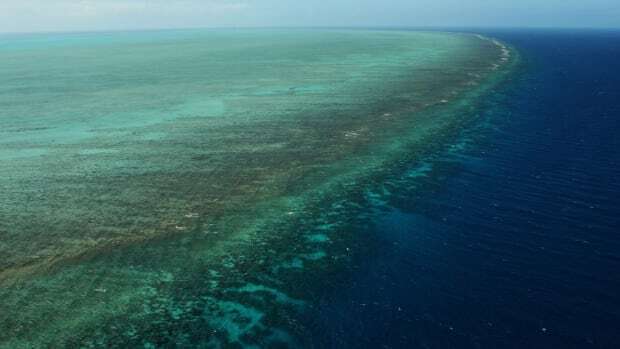 Shortly after the team completed the surveys, scientists issued a warning of a coming bleaching event at the Great Barrier Reef. Richardson returned to Lizard Island in April of 2016 to survey the same sites as the bleaching was in full swing. As waters warm, corals expel their zooxanthellae, the symbiotic single-cell algae that provide them with nutrition and their eye-popping color in exchange for shelter in the coral polyp. 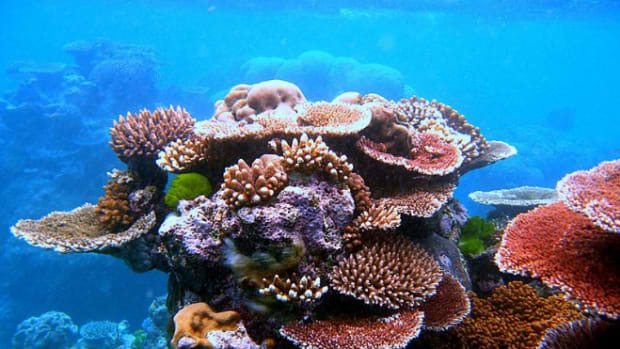 Zooxanthellae can turn toxic to corals when water temperatures rise by as little as one degree Celsius (1.8 degrees Fahrenheit). Six months after the bleaching episode ended, Richardson made a third trip to Lizard Island in October of 2016 for another round of surveys at the 16 sites. The scientists&apos; analysis concluded that the types of corals affected by bleaching had more consequence for certain fish species than the percentage of coral cover lost. The surveys from April of 2016 showed that bleaching affected 51 percent of coral cover, but that branching corals were particularly hit hard. 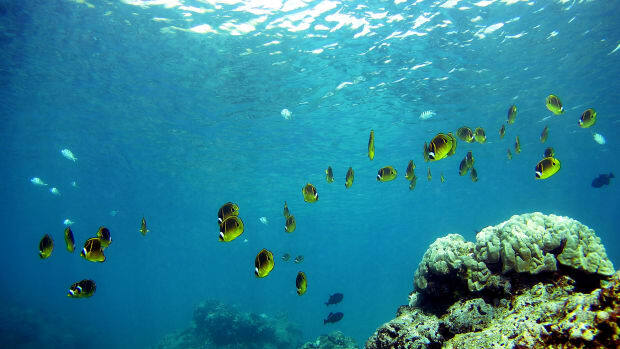 "The fishes that we specifically noted that declined were the small-bodied reef fishes like the damselfishes and cardinal fishes that are really dependent on live branching coral for habitat—and they use those live branching coral as refuge from predation by larger reef fishes and also from environmental stresses like sunlight and strong currents," Richardson said. "The loss of these live branching specialists meant that other fishes were able to take their place and use the reef space." Richardson cautioned that the Lizard Island surveys offer a "short-term snapshot" of the impact of coral bleaching on fish populations. 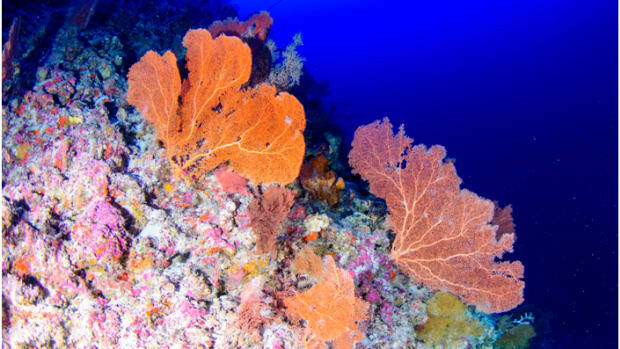 "Corals are highly dynamic systems and they can change a lot." 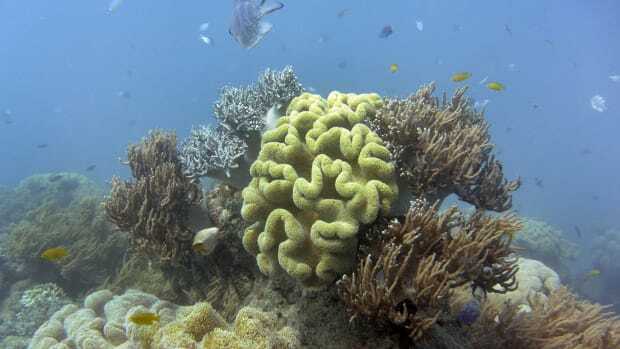 Still, she said, "In the paper we advise that managers will benefit by taking note of coral species composition as that&apos;s likely to affect the fishes that you find there and that&apos;s likely to affect the overall resilience of those coral reef ecosystems."